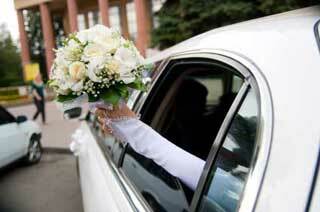 A-National Limousine has been Greater Atlanta’s wedding limousine service expert since 1982. We know that your wedding is a once in a lifetime event, and you want a wedding limousine company that has a proven unblemished track record of wedding successes! A-National Limousine is the only call you need to make to ensure that all transportation requirements for your wedding will be handled flawlessly so you can relax and enjoy your wedding events. A-National Limousine is the only call you will have to make when it comes to all your wedding events. A-National Limousine has been providing the highest quality wedding services to the Greater Atlanta Area since 1982. We handle your wedding as though it’s the most important event in the world – because it is for you. Our luxurious vehicles and professional wedding chauffeurs will add welcome dimensions to your wedding activities. When you engage A-National Limousine, we become full partners in all your wedding plans – providing the benefits of our years of Atlanta wedding limousine experience. Call 404.762.3007 (800.533.4859 toll free) to speak to our Atlanta wedding limousine service specialists.